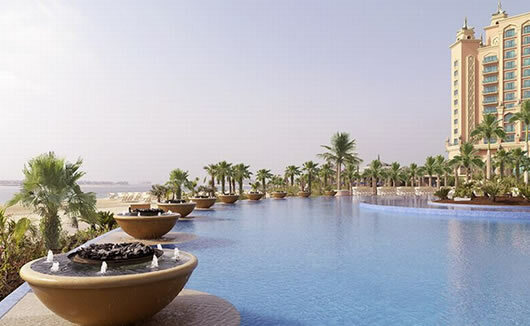 This iconic 5 star hotel is a jewel of the city, with its own private beach and spectacular views of the Arabian Gulf. 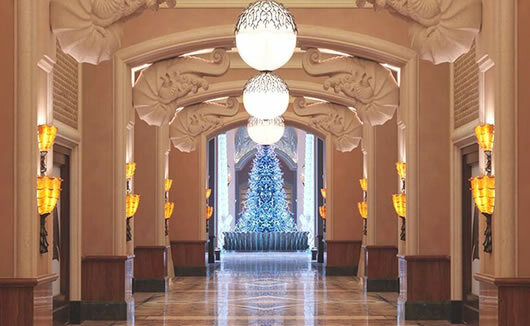 Featuring its very own marine and water-park, exclusive ShuiQi Spa with Shiseido treatments, and a choice of award-winning restaurants, your stay at Atlantis The Palm will be nothing short of luxurious. 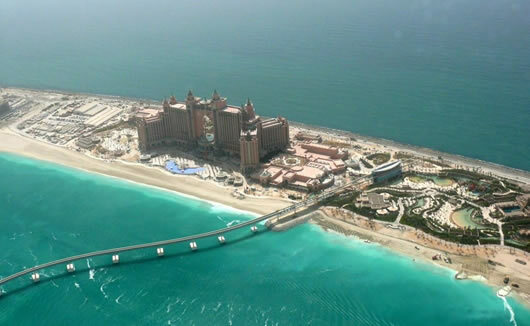 Set on Dubai’s Palm Jumeirah Island, guests will enjoy the truly unique location which has a connecting monorail to the Gateway Towers and the famous Mall of the Emirates is situated less than 20 minutes away by car. 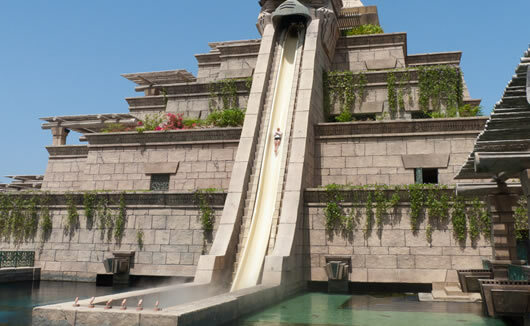 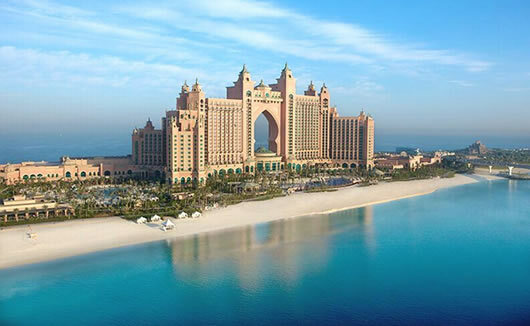 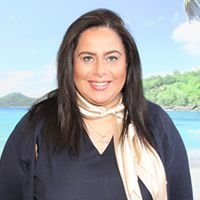 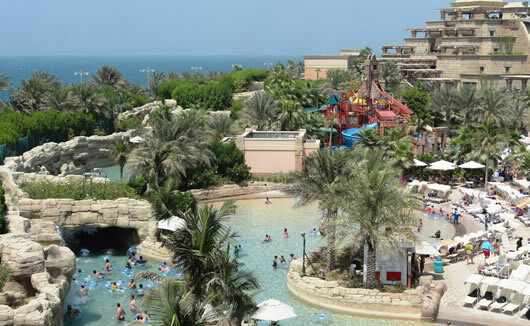 Atlantis The Palm is a luxury beach hotel that makes a great destination for families and comes complete with its own Kids Club and special nanny service. 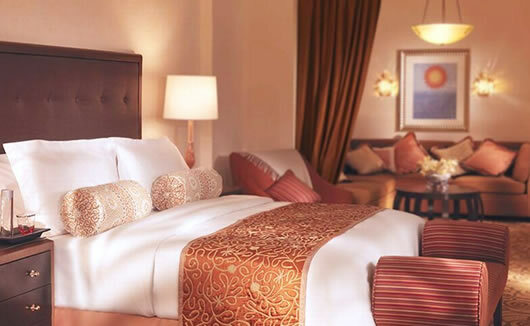 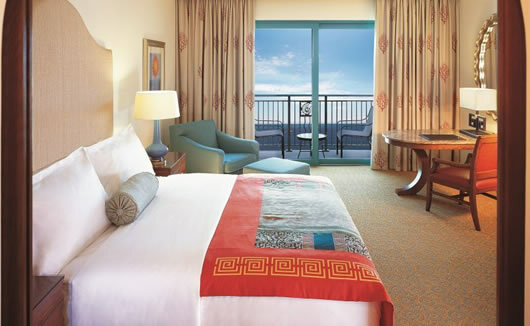 Atlantis The Palm spans more than 46 hectares and offers a range of deluxe rooms, ocean facing rooms, club suites, two bedroom family suites and signature suites.